Most people, such as people who like to do DIY projects or live at a homestead prefer to heat their home the old-fashioned way via a wood stove. It's true that a wood stove can make a home warm and cozy. Plus, it also has the advantage of not utilizing fossil fuels. With just a few wood a family is usually all set. However, there's a better way to heat a home and it's not something that most families would consider. The reason why more families don't think of this method is that it involves installing a boiler outdoors as opposed to having a heat source indoors. 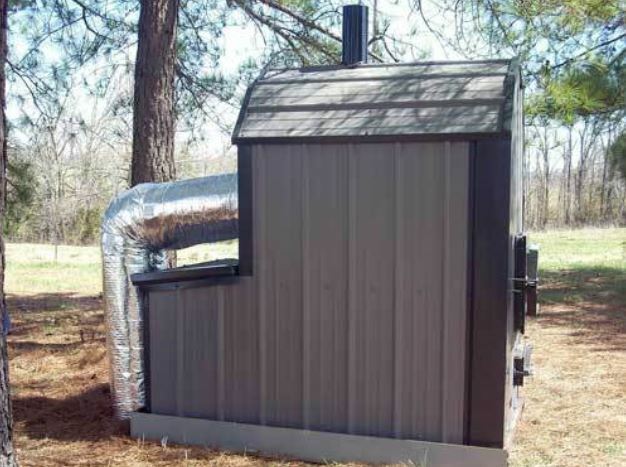 If you're as to what this method entails, it's all about setting up an outdoor wood boiler. This heating system is preferred by many not only because you can forgo fossil fuels like a wood stove, but it also has a few more perks. You can use various types of wood with it, keep your home clean, and keep bugs at bay outdoors, where they belong. That's not all either, an outdoor boiler is certainly a handy way to heat a home! For more convincing reasons as to why an outdoor boiler is a great alternative to heating a house as opposed to a wood stove, check out the next page. They aren’t even close as far efficiency!!! A wood stove with secondary combustion blows a wood boiler away !! Wood boilers waste wood . All you see coming from its chimney is smoke !! I’ve been in the hearth business over 25 years . I’ve sold several hundred wood stoves . Sure boilers are cleaner than a stove only because they are located outside. One point to remember is wood boilers need electricity to operate . I know of several communities that have banned wood boilers because of the amount of smoke they release . Neighbors of wood boilers are. It fans of them ! !